My $1000 Sundae... Yes, I Ate Gold! 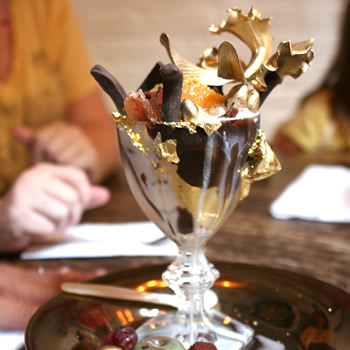 My $1000 Sundae… Yes, I Ate Gold! Ok, let me give you a little background. I went to New York City for the July 4th weekend a few weeks ago. Since we were going, I started looking at things to do. 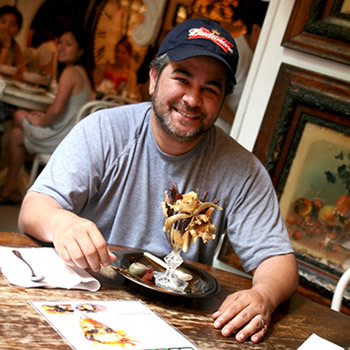 While watching the Food Channel one day, I don’t remember the exact show, I saw this exclusive ice cream sundae. In fact they say it’s the most expensive in the world. The price tag? $1000. Hey you only live once, I had to try it. The cool part is less than 50 people in the world have actually ordered it. (Now including me too!) In order to get it, you have to give 48 hours advanced notice.The place is Serendipity 3. Here’s some details about the Sundae. Serendipity describes the Golden Opulence Sundae as follows: “5 scoops of the richest Tahitian vanilla bean ice cream infused with Madagascar vanilla and covered in 23K edible gold leaf, the sundae is drizzled with the world’s most expensive chocolate, Amedei Porceleana, and covered with chunks of rare Chuao chocolate, which is from cocoa beans harvested by the Caribbean Sea on Venezuela’s coast. The masterpiece is suffused with exotic candied fruits from Paris, gold dragets, truffles and Marzipan Cherries. It is topped with a tiny glass bowl of Grand Passion Caviar, an exclusive dessert caviar, made of salt-free American Golden caviar, known for its sparkling golden color. It’s sweetened and infused with fresh passion fruit, orange and Armagnac. I didn’t eat this alone, I had my family and many friends with me and we all shared it. I mean how often does one get to eat a $1000 sunday? So the question is… was it worth $1000? It was good granted, would I go and get it again? Probably not. Was the experience worth it? Absolutely it was fun and a once in a lifetime experience I wont’ forget. Here’s some more pictures of it. I love the wealth abundance that this creates for you to eat a $1,000 Ice Cream Sunday! Dang – I wanted to see you eat it! Why didn’t you show us that? Wow… I really thought it would be a lot bigger. But awesome stuff, I got to try that next. 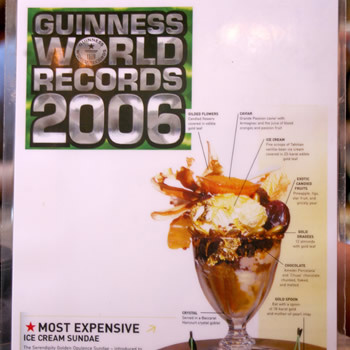 Haha that’s incredible…I didn’t know they made thousand-dollar sundaes!